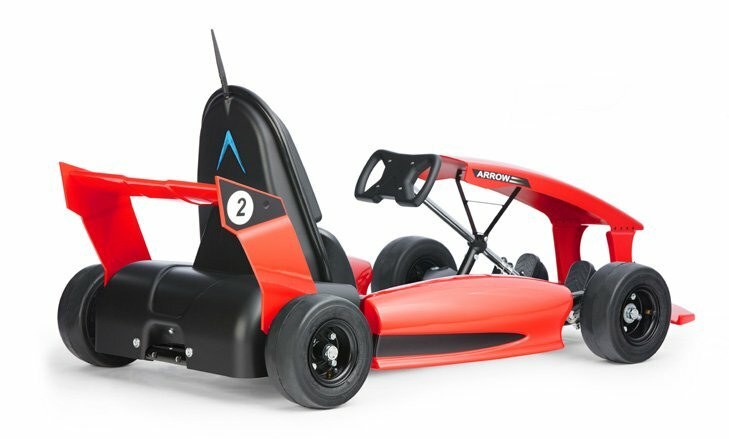 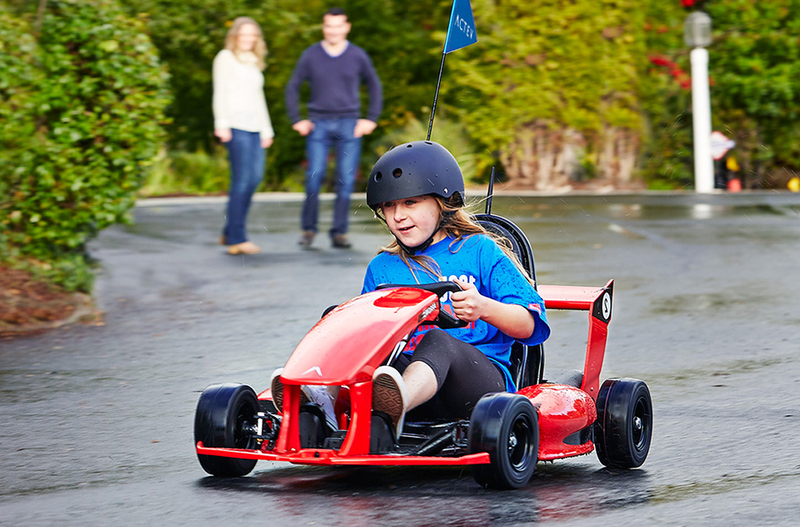 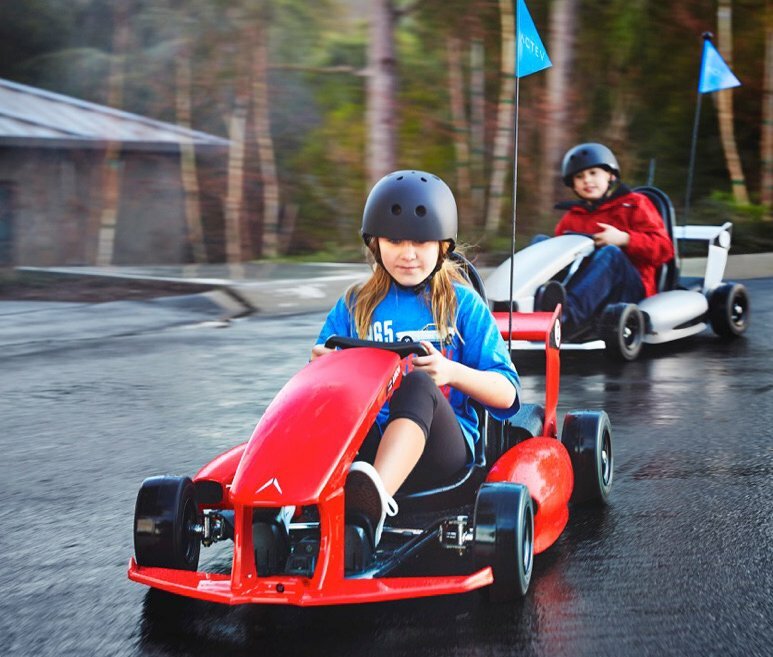 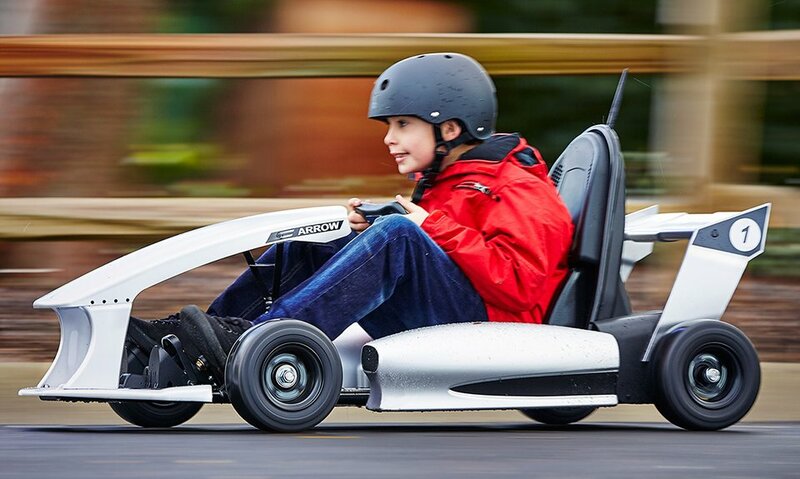 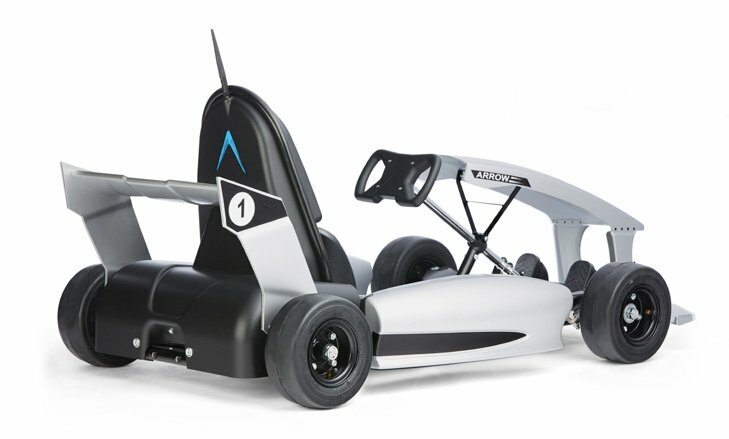 An electric go-kart for children ages 5 to 9. 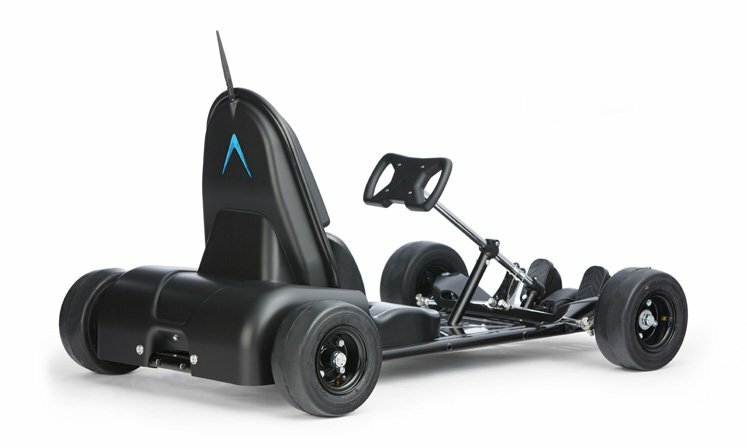 The Arrow goes up to 9mph and lasts up to 1h per charge. 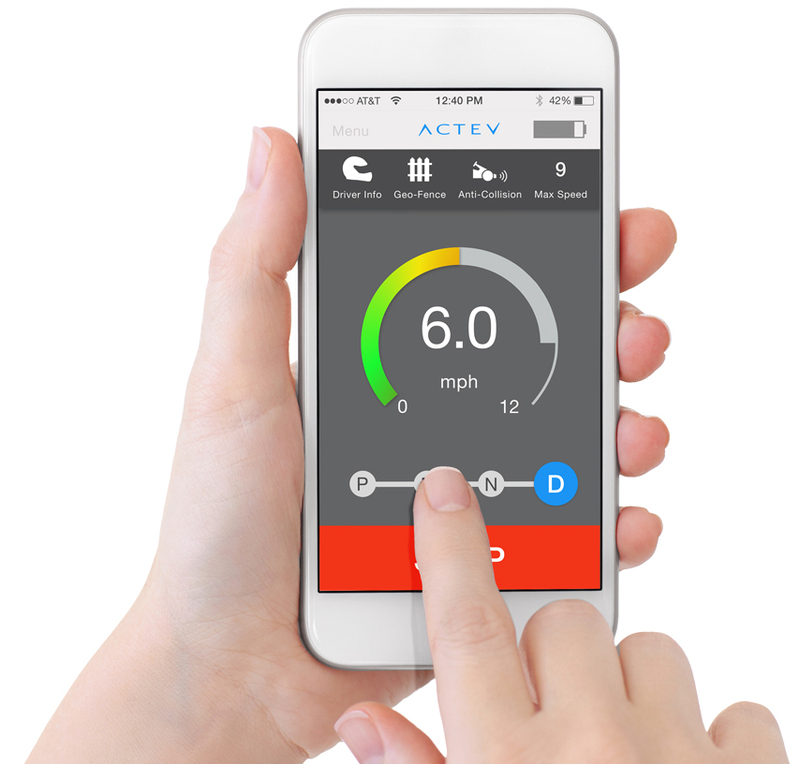 Its app lets guardians control and limit its capabilities, and it also has collision detection and geofencing. 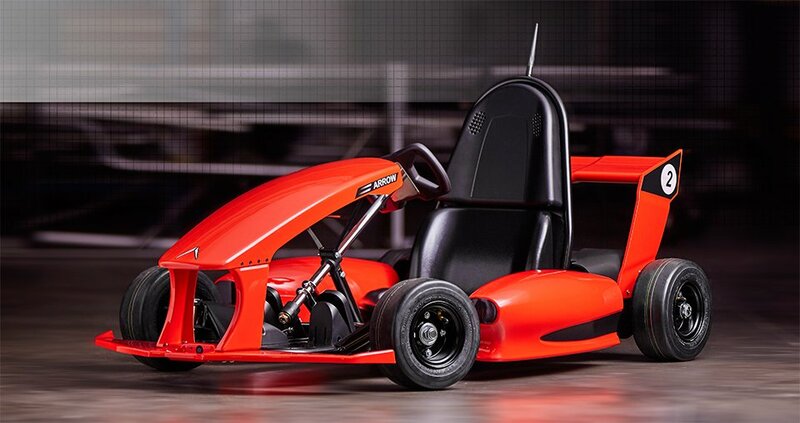 Body kit sold separately.